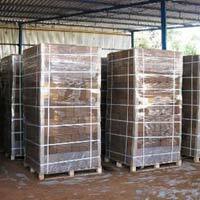 We are a major Manufacturer, Supplier, and Exporter of Coir Peat Blocks. These blocks are considered as an ideal growing medium. 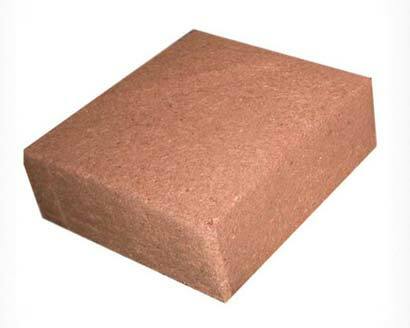 The coco peat powder thus obtained is sieved, washed, dried, and finally compressed into blocks. The blocks can be used for a wide range of planting requirements. Coir is known for its natural rooting hormones and anti-fungal properties. 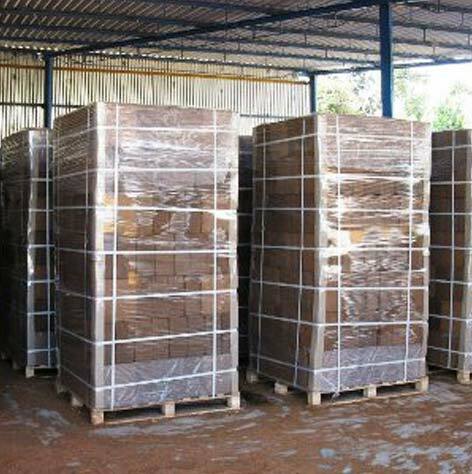 We also ensure secure packaging of the coco peat blocks. The blocks are stretch wrapped and strapped. We also customise the packing on client's request. Normally they come in 650 grams bricks and small bales of 5 kilos and 10 kilos blocks. 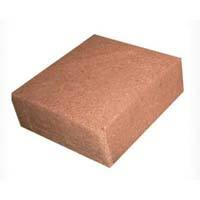 We supply 5kg blocks, 650gm Coco Peat Blocks, and Coco peat bags. The product finds application in farming, due to its water absorbent property and it is an excellent soil conditioner. 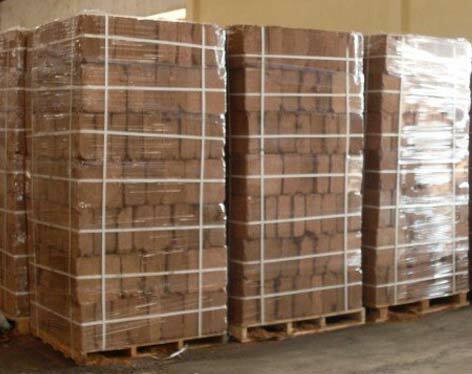 The Coco Peat is dried and processed to produce different items, namely blocks, briquettes, tablets, etc. Technical specifications - Cocopeat or pith since they are similar to saw dust, they are bulk in nature. In order to facilitate easy logistics it is conveniently compressed into blocks of various sizes. 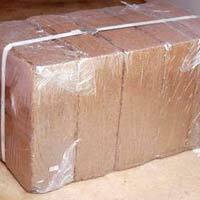 Normally they come in 650 grams bricks and small bales of five kilo and ten kilo blocks. 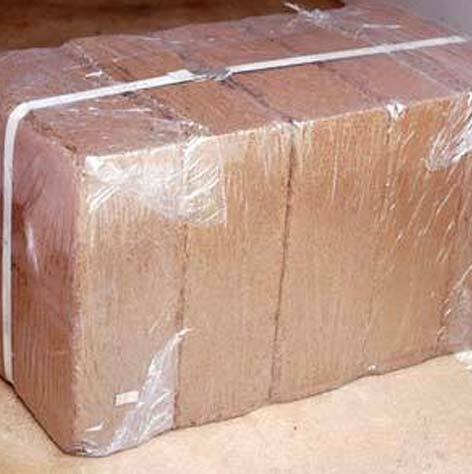 The palletized are cocopeat blocks which are stretch wrapped and strapped. Non Palletized is bare block loading in the container. Grade fine less than 5mm less than 0.5mS/cm 5.8-6.8 10-15% Seed raising, green house hydroponics growing, for salt sensitive plants and horticultural potting mixes. It is an excellent growing medium for hydroponics or container plant growing. Coir has natural rooting hormones and anti-fungal properties. As the leading coir peat suppliers we ensure that you get the best of products with quality services. Coco peat is also known as coco pith. This peat is a by-product of coco fibre. In coco fibre extraction the so called pulp or covering of husk over the coconut is called the fibre. This fibre is used for many applications in various industrial products. While removing this covering or husk which contains the pith attached with the fibre we get two products namely the coir fibre and the coco peat or pith. This pith appears like saw dust. 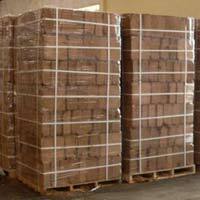 These coco peat are compressed into blocks called coco peat bricks, making it convenient for transporting.